The mustard in the slaw is a nice unexpected flavor – it was not too much, just enough to be interesting without overpowering the dish. 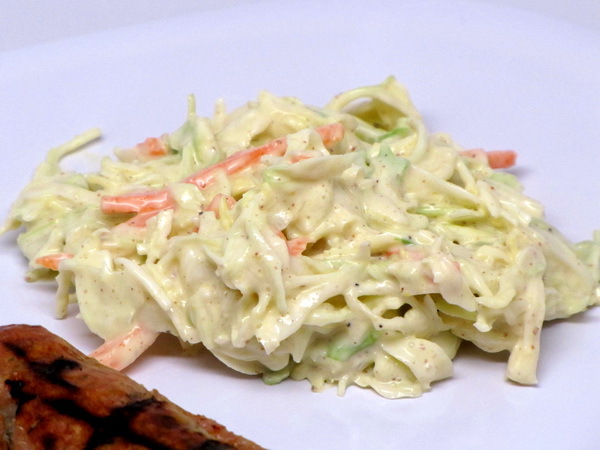 How can you beat coleslaw – only 45 calories per serving ! Combine cabbage and carrot. In another bowl combine all the rest of the ingredients and then pour over the cabbage and toss well. Chill in the refrigerator.